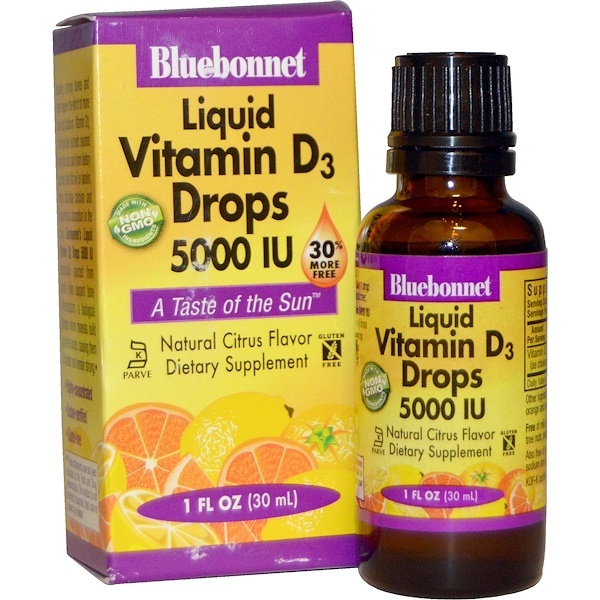 Bluebonnet's Liquid Vitamin D3 Drops 5000 IU provide natural vitamin D3 (cholecalciferol) from lanolin. Each drop of this sunshine vitamin is flavored using a hint of orange and lemon essential oils. Available in liquid drops for maximum assimilation and absorption. Building strong bones and teeth require the effort of more than just calcium. Vitamin D3, a fat-soluble nutrient sourced from the sun and from dietary sources like fish oil or lanolin, helps facilitate calcium and phosphorus absorption in the body. Bluebonnet's Liquid Vitamin D3 Drops 5000 IU specifically sourced from lanolin helps support bone mineralization, a biological process where minerals build up in the bones, causing them to harden and remain strong. 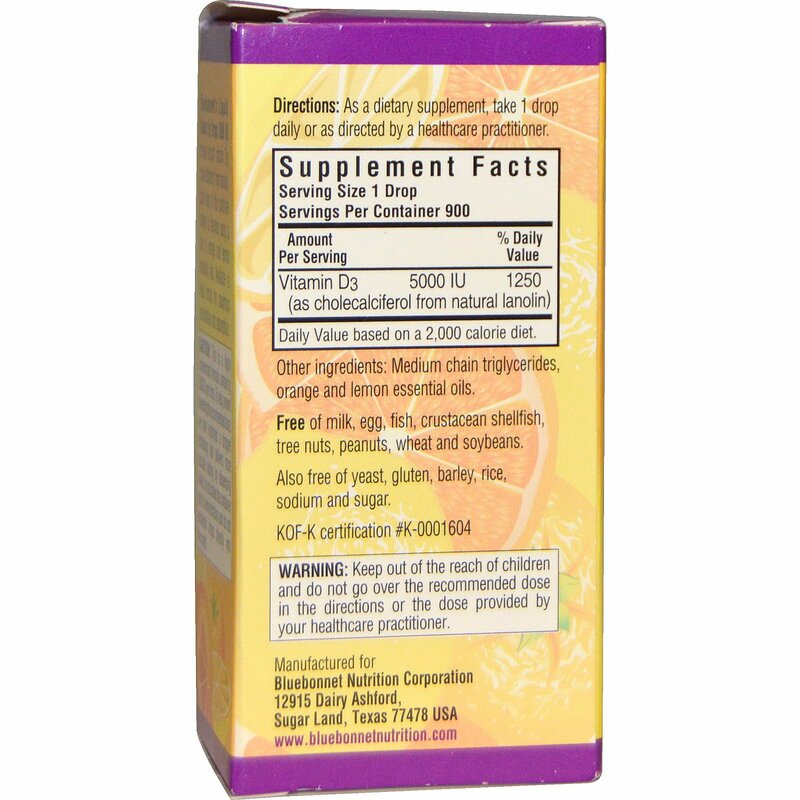 As a dietary supplement, take 1 drop daily or as directed by a healthcare practitioner. Caution: This is a highly concentrated formula containing 5000 IU per drop. To help prevent exceeding the recommended dose, we have employed a dropper technology that delivers more accurate dosing by dispensing slowly. Do not shake the container prior to administration and do not am administer drops directly into the mouth. Keep out of the reach of children and do not go over the recommended dose in the directions or the dose provided by your healthcare practitioner.